Taglines: An epic of miniature proportions. The two mosquitoes trapped in the light of the bugzapper ("Frank, don't go towards the light!" "I can't help it - it's so beautiful!") 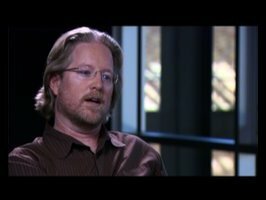 are the voices of the co-directors, John Lasseter and Andrew Stanton. 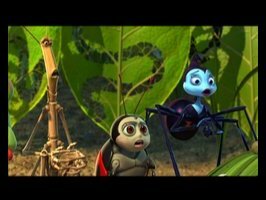 Continuity: Flik couldn't reach the back of his invention when he tried to get a seed for Dot. Later, he is caught by a blade of grass and is flung backwards, and all the seeds fall out of his invention. Then we see him running toward the offering stone with his invention full of seeds. He couldn't have put them back in, because he can't reach his invention when it is on. How did the seeds get in there? Okay, first off, I'm 26 years old, have a job, go to school, and have a fiance'. So maybe I'm nuts and just really good at hiding it...but not only did I NOT come away from A Bug's Life exhausted or dazed, it wasn't until I saw it the second time that I could even begin to truly appreciate the artistry and humour of the spectacular visuals--because the first time I went to see this movie, I got so wrapped up in the story and the characters that I FORGOT that I was supposed to be sitting there being "wowed" by each frame visually. 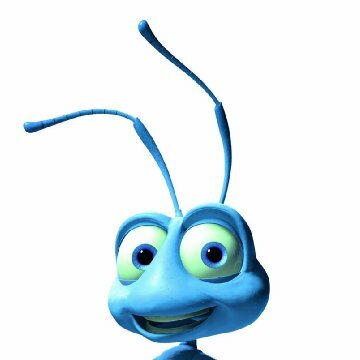 How can you not empathize with Flik and his road-to-heck-paved-with-good-intentions life? 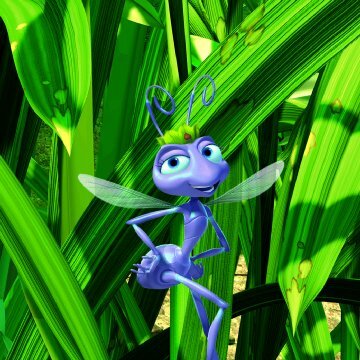 "Heck" indeed, I found myself identifying with that little ant (not to mention some of the other bugs) in a lot more ways than one...and that, in itself, says more to me about what an incredible movie this is than a whole book on its beautiful eye candy. Of course, it's beautiful (every blade of grass, the tree, the rain...). Of course, what they can do with technology is amazing (you can read their lips! try it!). But this movie is not just a masterpiece of art and tech, not just an dazzling explosion of movement and color. 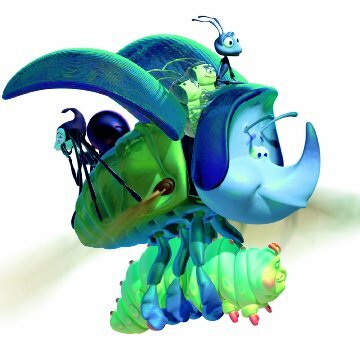 No, A Bug's Life would be static if it were all that and no story. But, I'm glad to say, it's not! 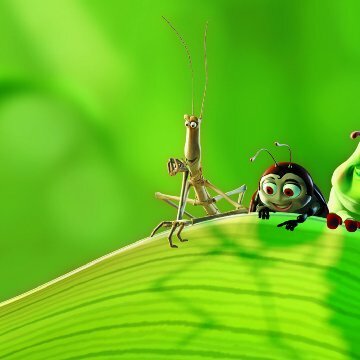 A Bug's Life has real heart. Yes, there's a lot going on, storyline-wise as well as visually, but that's because the story and characters actually have some depth to them! Just because it's a kids' movie doesn't mean you should have to turn off your brain at the theatre door--kids are smarter than you think! 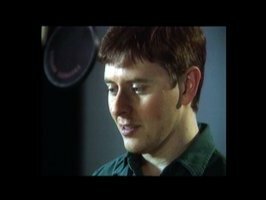 Besides that, I think that the PIXAR crew made this for themselves, even before their kids...and it shows, in the amount of heart in has. This movie is moving, touching, funny, intriguing, and generally engrossing. The character development in such an ensemble cast is amazing, there's a major amount of character growth, and not just of the main character--so rare in animation and often in movies in general. It doesn't hit you over the head with its points once it's made them--every scene, every frame has a reason in the storyline for being there, and there are no gratuitous shots. Not always stating explicitly in words exactly what is going on means subtlety, to me, folks; it means not "dumbing down" your movie and assuming the audience is stupid, which it mostly is not. All I can think is, if you can see A Bug's Life and not feel anything at all, then you must have never made a big mistake, hurt your friends, had a crush, fallen in love, been frustrated that no one would listen to you, lied to someone you care about, felt like a social misfit, gotten excited over a new idea, come up with a great idea, had what you thought was a great idea backfire, been awkward one moment and confident the next, felt the pressure of responsibility, stood up for yourself and your loved ones, stood alone against the crowd, felt like a failure, felt like a big success, felt the need to make a difference with your life in the lives of others...well, you get the point. Final words: A+ rating from me; please, if you're going to see it try to see it in the theatre (pan and scan video is NOT going to work for this movie); if you loved Toy Story you'll most likely love this (PIXAR knows how to make movies with heart); if you do love it see it multiple times or you STILL won't know what you're missing (the amount of detail and subtlety here is considerable); and whenever you're feeling really low, just pretend it's a seed, okay?